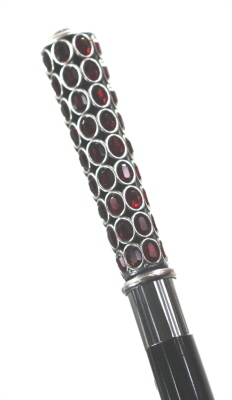 This is a superb luxury walking stick. The column length formed around a translucent semi precious stone. 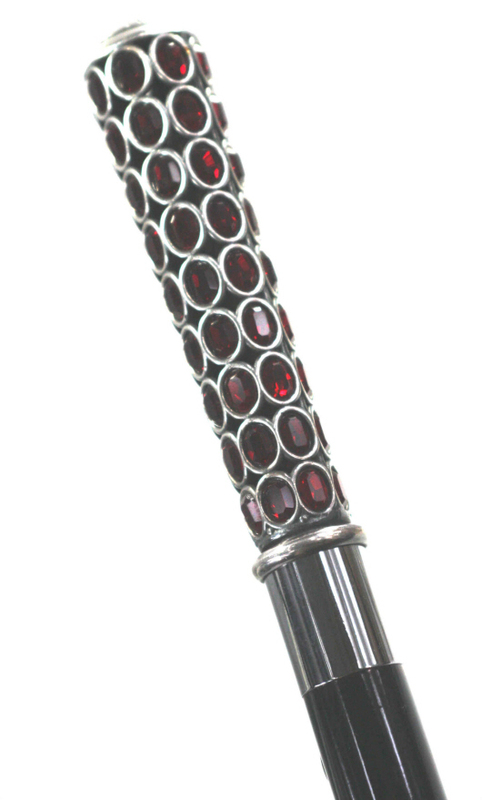 White metal collar mounted on a glossy black hardwood shaft with base metal ferrule.